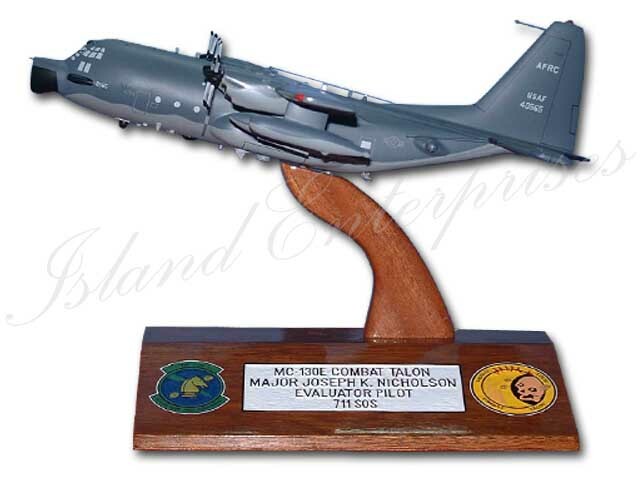 MC-130 Model on a tapered base, perfect to give as a gift, an award or a decoration on your desk. Customized this any way you want. And remember we offer a 100% money back guarantee if you are not totally convinced you have bought the best product available on the market! !